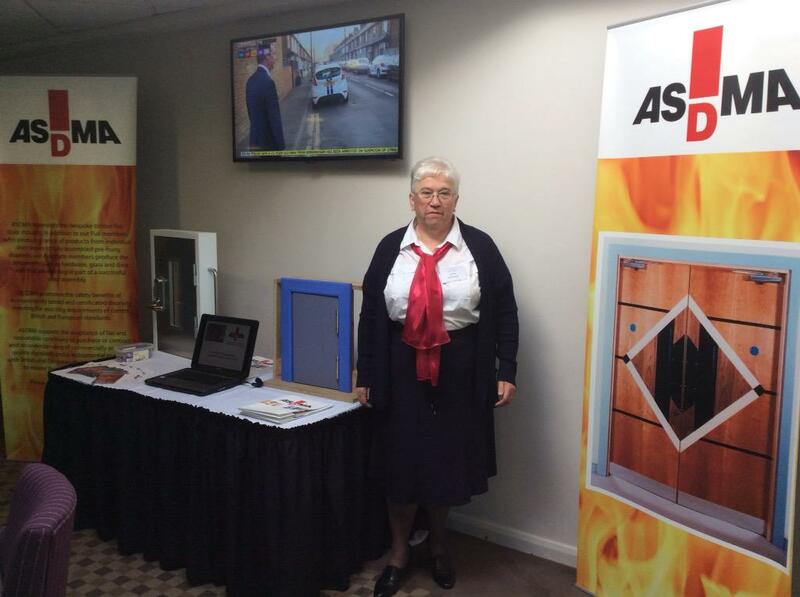 With imminent introduction of the CE Marking of timber doorsets, ASDMA were pleased to sponsor BM TRADA’s seminar on ‘CE Marking for Fire Doors’ held at Staverton Park in Daventry in April. The seminar was attended by over 140 delegates and brought together many of the UK’s leading fire door manufacturers and component suppliers to discuss the roles of CE Marking and third party certification. As the trusted voice of timber door manufacturing, ASDMA was on hand to offer advice and hopefully dispel some of the myths surrounding CE Marking, at the same time underlining the continued need for voluntary third party certification schemes for door assemblies. Peter Barker from BM TRADA gave a very comprehensive and informative seminar which was closed with a lively question time, which raised a number of valid points for discussion. Bob Williamson spoke for ASDMA and he ably demonstrated the benefits of being a member of ASDMA, as well as confirming where they stand on CE Marking guidance. ‘ASDMA is concerned about the confusion and misinformation that surrounds CE marking and this event provided an excellent opportunity for ASDMA to clarify that the CE mark for timber doors with fire resistance is applicable only to doorsets and not door assemblies. BM TRADA gave a very clear guidance on the correct routes to market and good advice on the next steps to take for those who wish to follow the CE Marking route” said Ian Makins, Chairman of ASDMA. ‘However, for the dominant product on the market in the UK – door assemblies – third party product certification still applies and provides significant higher levels of assurance on product performance and fitness for purpose than CE marking’ said Ian Makins. ‘CE marking and third party certification are not alternatives. They are intended to serve different objectives. And they can co-exist with advantage within the limits of those objectives’. “Many of our members were present and agreed that the event was a great success in terms of updating the industry of the forthcoming implementation of CE Marking.” commented Ian Makins. “The event provided excellent networking opportunities and we were very happy that ASDMA’s presence and stand generated a great deal of interest in our membership and we look forward to welcoming a number of new members as a result “. An interactive CE Marking flow chart is available on the ASDMA web site (www.asdma.com/knowledge-centre) where best practice guidance concerning the use and installation of timber doors can also be found. CE marking follows from the European treaty for the creation of a single Community market, requiring product testing and manufacturer declaration before placing products on the market. Third party certification, however, is a UK industry scheme to give additional assurance of product performance consistency, involving auditing of products whilst they in the market and being used. Such schemes importantly include door assemblies and components that fall outside the scope of CE marking, which by definition applies only to doorsets.